in celebration of the amazing Women of Abstract Expressionism exhibition. Through the generosity of the Wells Fargo Foundation, all costs for this unique art, learning, and culinary experience are underwritten in support of their arts accessibility programming and grants. Participants are asked to pay a $100 fee which will provide further financial support for Women of Abstract Expressionism. Please reserve your spot today. 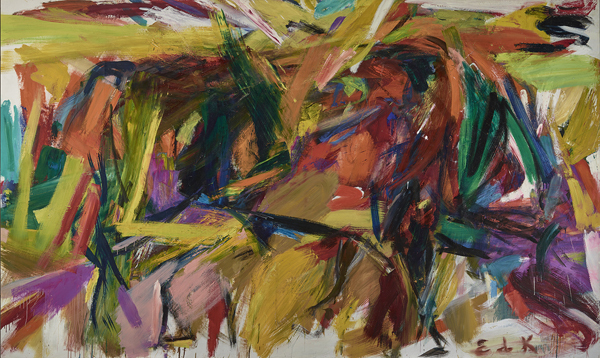 Image credit: Elaine de Kooning, Bullfight, 1959, oil on canvas, 77 5/8 x 130 1/4 x 1 1/8 inches. Vance H. Kirkland Acquisition Fund, 2012.300. © Estate of Elaine de Kooning.